It’s the most asked question in the fly shop. We field it dozens of times a day. Or more. And why not? Providing answers to fishing questions is the primary reason we’re here. Helping you figure out where to fish is an important topic, and we take it seriously. Here’s a look at the process I follow (other people could have a better way). When asked where to fish, I’m likely to respond with a few questions of my own. Do you already have a place in mind? Some sort of fishing you’re looking for? Some sort you’re trying to avoid? I’m not being evasive, but rather trying to ascertain whether or not you have an agenda I need to consider. Most folks simply want to have a nice day and catch some “good” fish, but when pressed further they often reveal biases regarding certain waters and certain kinds of fishing. I don’t want to send you to a big river if you’re really interested in small streams, and I don’t want to recommend, say, streamer fishing if you’d rather fish small dry flies. Once I know what you prefer, I mentally narrow down the options. I’ll take water conditions into account. I’ll consider the weather—what it’s been like, what the forecast calls for. Water and weather both play significant roles in the fishing because of their effects on insect and fish activity (our comfort, too). After water and weather, I think about hatches. Which flies are in season? Have their emergences been strong or weak? Predictable or not? Important considerations, since insect hatches largely control when the fish feed. 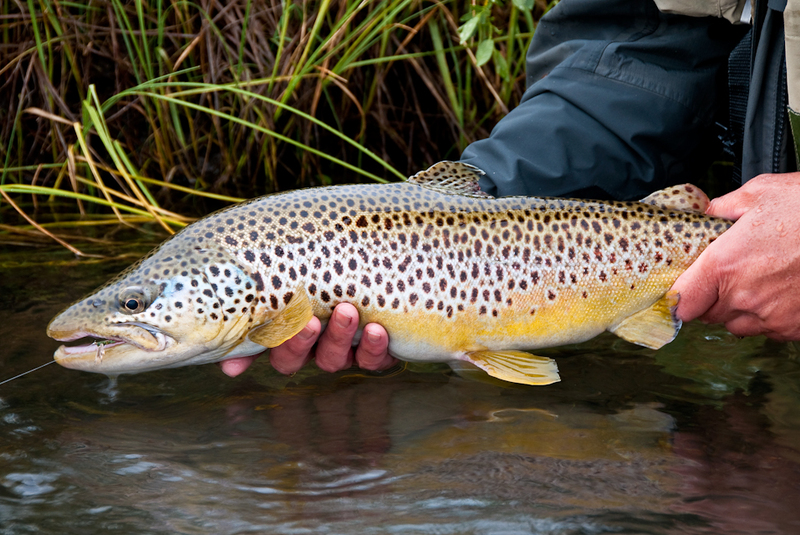 Yes, trout still take flies when they’re not actively feeding, but our chances are much better during a hatch. I consider also the possibilities of a given water sans insect activity. Will the fish simply be riveted to the bottom, awaiting the next hatch? Or might they still be active and willing to take? The level of general fish activity varies greatly among the local waters, making it a factor not to be overlooked. The gist of figuring out where to go isn’t overly complicated. You can do it quite nicely for yourself once you acquire a little knowledge. Learn something about the waters, pay attention to the weather and water conditions and hatches, and soon you’ll be making your own good choices about where to fish. Best of luck and enjoy your time on the water.